A mobile self-propelled surveillance radar AMBER-1800 has dual military/civilian purposes and is designed for air surveillance at long range (up to 360 /500 km). 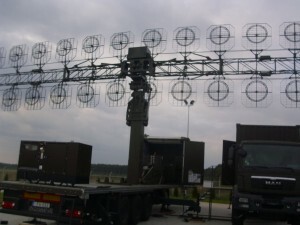 Radar monitors air situation and fulfills the requirements of Military radar intelligence to conduct surveillance over large areas and locations such as military bases, airfields, oil production areas, arms depots, warehouses, industrial facilities, etc. 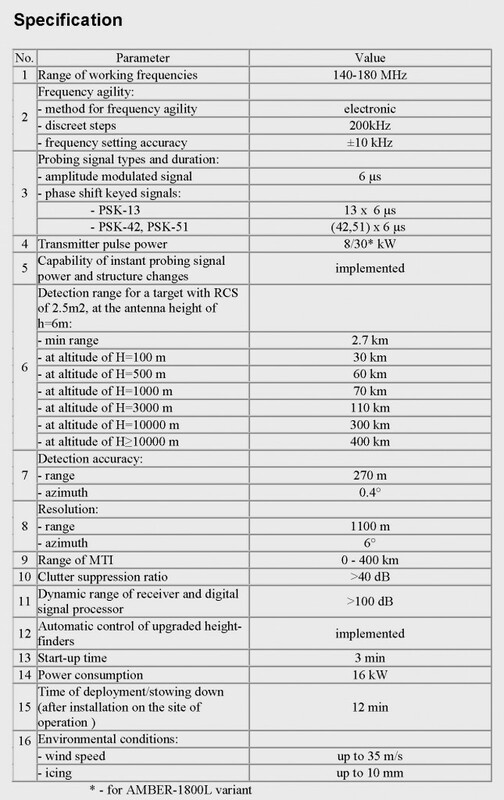 • Elevation of the antenna phase center – 6 meters. • Side-lobe level – minus 20 dB. Time of deployment (stowing down) and leveling of the antenna mast assembly after vehicle positioning on prepared site does not exceed 12 minutes.